Many undergraduates want to get into prestigious law schools, but they aren’t sure about the best ways to prepare. You may be one of those students. 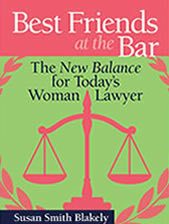 Best Friends at the Bar contains a wealth of information to help you make good choices for your future early on. Your major, where you attend undergraduate school, and how you focus your classes all affect your chances of getting into the law school you prefer. It’s never too early to start thinking about your pre-law curriculum and law school admissions and to make sure that you will stack up well against the competition. Learn the important questions to ask yourself and your advisors as a young woman who is preparing for law school and a career in the law. 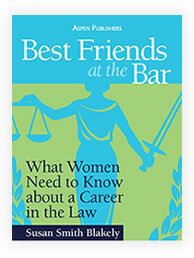 Vy is pre-law, so she bought Best Friends at the Bar: What Women Need to Know about a Career in the Law to help her think through her future in the law. 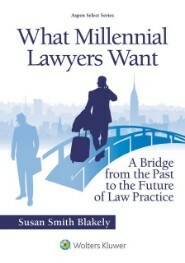 As she read the book, she was excited and relieved to learn that a career in the law would be a great fit for a woman as well as a man with her interests and goals. Vy also realized that the book addressed many issues that she still needed to explore if she wanted to continue on a pre-law track. Thank goodness! Without the book she wouldn’t have known that some undergraduate majors could do more to help her get ready for law school, improve her LSAT performance, and impress law school admissions officers. 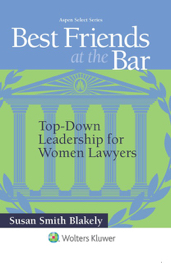 Because Best Friends at the Bar is full of career advice from an impressive group of lawyers and judges who have been there and done so much more—no resource could have been more helpful as Vy prepared for law school and her future career in the law. Susan Smith Blakely has been a mentor for women in the law throughout her career and is happy to speak at your school and meet with individuals or groups of women pre-law and law students to offer personalized law career counseling. If you or someone you know would benefit from guidance on successful approaches to pre-law and law school to prepare for a career as a woman in the law, contact Susan to set up an appointment. For more information for pre-law students on the important considerations in deciding whether to attend law school, Susan Blakely has prepared a paper for the University of Michigan Career Center, which appears in two installments and can be found at careercenter.umich.edu. This paper is being read by students all over the country and can be very helpful in your decisionmaking.